Milty Duopad Vinyl Record Cleaner. 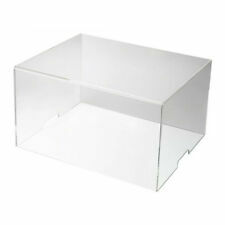 This high-quality perspex lid is designed to keep any unwanted dirt and dust off your Pro-Ject VC-S. This durable lid is the perfect partner to keep your VC-S in pristine condition. 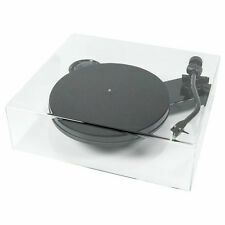 Pro-Ject Audio Systems Cover-IT E Dust Cover . Condition is New. Dispatched with Royal Mail 1st Class. Bought it, and never used it, but covers the turntable perfectly. Xperience Classic. 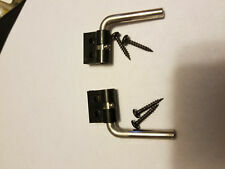 This Pro-Ject hinge set are for replacing your worn or broken hinges with a new set. Essential Phono USB. Essential II. Essential II Phono USB. 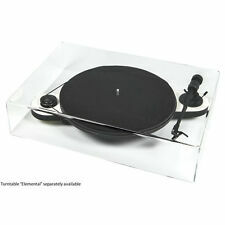 Dust Cover For Pro-Ject Primary Turntable. Turntable Dust Cover. Was taken from NEW turntable. This dust cover is in perfect shape, never used. Repair Part Haiti, Venezuela, Ukraine, Somalia - Due to political situation. These hinge sets are screwed into the backs of their respective turntables, allowing for their dust covers to open and close easily. Debut III Phono SB. Debut III USB. Debut III E. Debut II Phono SB. 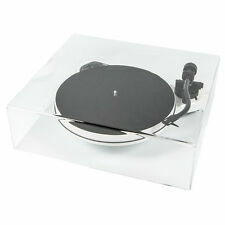 For Pro-Ject Primary Turntable. Was taken from NEW turntable. Haiti, Venezuela, Ukraine, Somalia - Due to political situation. Repair Part perfect shape, never used. AND IF YOU WANT TO RECEIVE YOUR ITEM MORE FAST.